To claim this profile, please confirm you are Mari Billhorn. To follow this profile, please let us know your relationship to Mari Billhorn. Mari's basketball stats have been updated for the loss vs. Galva. Mari's basketball stats have been updated for the loss vs. Henry-Senachwine/Lowpoint-Washburn. Mari's basketball stats have been updated for the loss vs. Hinckley-Big Rock. 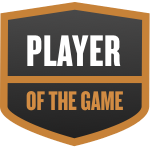 Mari was selected the Player of the Game in the basketball game against Somonauk on Tue, Jan 15 2019. Mari's basketball stats have been updated for the loss vs. Somonauk. Mari has been added to the LaMoille/Ohio volleyball roster. Mari's basketball stats have been updated for the loss @ Indian Creek. Mari's basketball stats have been updated for the loss @ Bureau Valley. Mari's basketball stats have been updated for the loss vs. Fieldcrest. Mari was selected the Player of the Game in the basketball game against Grant Park on Fri, Dec 28 2018. Mari's basketball stats have been updated for the win vs. Grant Park.